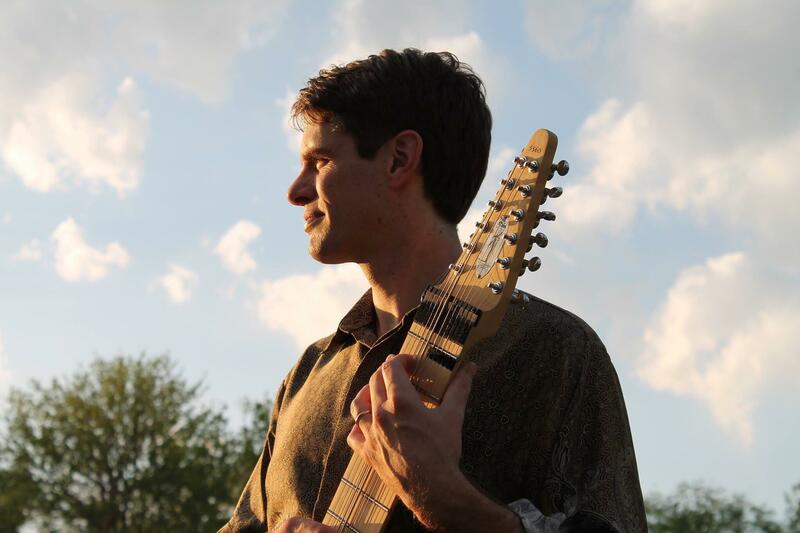 Trevor Stewart is a frequent performer in Wichita. His latest project is a collection called In The Hearts of Others and features Andrew Feldman and Mark Thorstenberg. Stewart’s primary instrument is the Chapman Stick. “A Chapman Stick is an instrument that comes from California, invented in the late ‘60s. You play it just by tapping the strings. You don’t have to strum or pick the strings. You just tap right on ‘em. It has two six-string guitars on one big fretboard. There’s no body like on an electric guitar.